With a lean, low-overhead business himself, John can steer places away from spending on measures that don’t work and save money on those that do. His small independent practice, John believes, can focus less on internal administration and more on delivering a high level of service to the client. John favors a “servant” role distinct from the “master” role planners often assume. 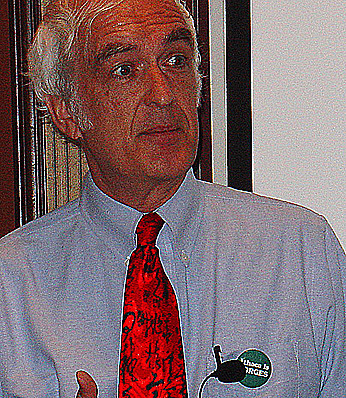 John’s won praise for bringing cities' planners together with billboard companies, car dealers, fast food chains, and others to prevent conflicts. John’s benefited from opportunities available around the nation’s two great cities. Born and raised in New York, he graduated from the renowned University of Chicago and worked at the Northeastern Illinois Planning Commission. He's served smaller places with his consulting, an Extension appointment at Cornell University, and as director of Max Anderson Associates in Des Moines and planning director of a smaller city. With a master’s in city planning, he became a member of the American Institute of Certified Planners, and served on its Board of Examiners and as a correspondence instructor for the International City/County Management Assn. Having lived and worked in eight states, his diverse experience adds to local knowledge. And with high-level jobs in consulting, city and metropolitan government, and academia, John's had to prove himself with new challenges. He's one of the few offering community marketing with knowledge of the product to be marketed. His achievements have been on the merits, unaided by family, friendship, or political ties. He's never given political support to clients or prospective clients or submitted for awards, believing his job is to serve clients, not awards juries. He has done work on the practical sides of planning, land use control, and marketing for growth funding. He’s done ads, brochures, direct mail, publicity and marketing plans. For more on John Gann, click here.